Closer to the 4 months mark, at this point. This rehab has been most heartwarming. . . Considering I know where he came from, the circumstances. . .being left to die boarded up in a dark stall. . . 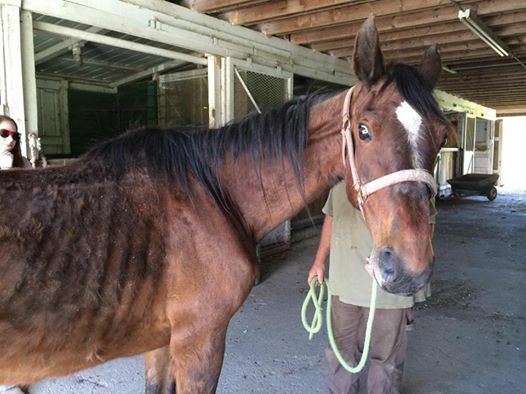 Being torn out by Animal control. . .coming here heavily sedated because he was afraid and unhandled. 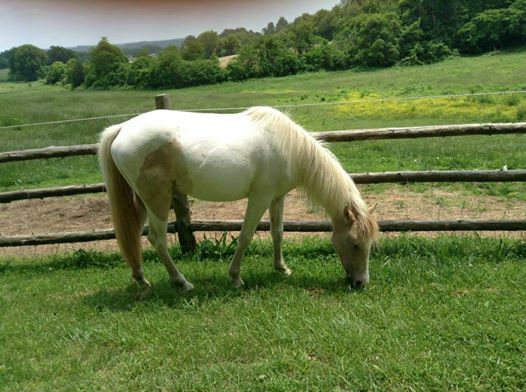 . .
“Dare to Be Spicy” is a 13.2HH Haflinger-Welsh/Arabian cross pony mare. 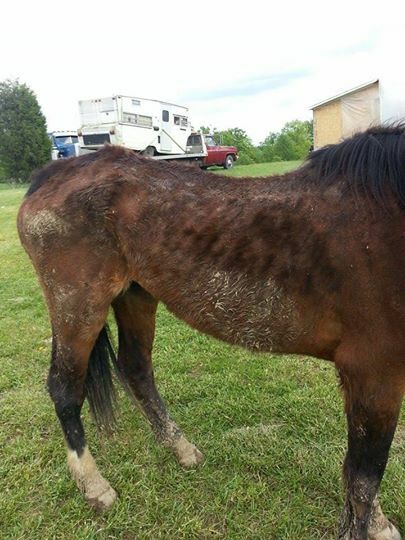 Spicy was foaled 8/10/12 and has had extensive handling since her birth. She loads on and off the trailer very quietly, stands tied, leads well, and behaves for the farrier! 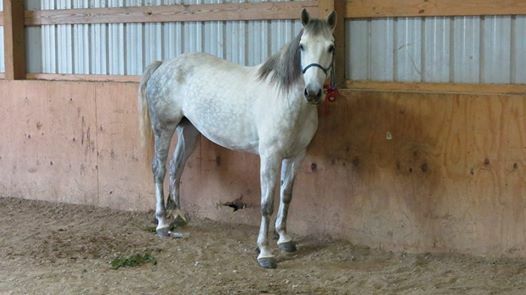 Spicy has had natural horsemanship work on the line and in the round pen and really enjoys being with humans! She would make an excellent and adorable Hunter/Jumper pony! She has been ponied frequently by another horse. She has worn a saddle and a small full cheek snaffle quite a bit and has been sat on for brief periods of time by a very lightweight child. Spicy is up to date on all vaccines and coggins and is adoptable for a $150 fee to a home with training experience. She needs to go to a home where she can only be out at night or be turned out with sun protection sheets as she burns very easily. One of our volunteers was just talking about this on her page, and it is a pet peeve of not only her’s but mine, as well. . .
We constantly hear people (usually far shorter than I am at nearly 5′ 9”) say they are too tall for horses unless the horse is about 16hh. Look, lets put this out there. . .you are perfectly fine on a horse that is 14.3hh even if you’re 6 feet tall, as a general rule. I’ve seen it over and over. It is fine. 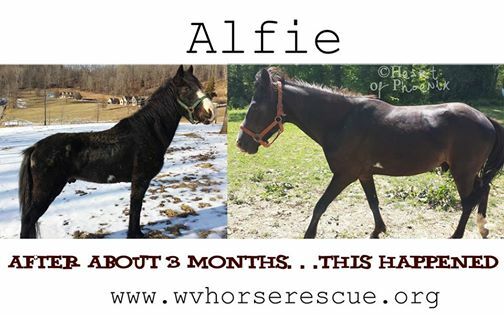 This concept hurts perfectly good horses in rescue all of the time. We have MANY horses under 16hh that aren’t adopted because folks think they need a huge horse on the trail when they are 5’6”. Have a lovely day, otherwise. Oh no. I’ve got the new page format. It is awful. I hate it. Pecos in his VA home with his adoptive girl today! I was more than a little thrilled with the articulate, multiple paragraph email from someone interested and asking questions to see if they would be a good candidate for adoption! 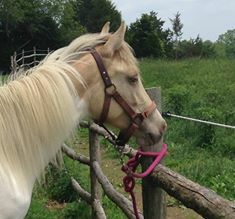 Skye, our beautiful little rescue horse placed with us by “Heart of Phoenix Equine Rescue” in Huntington, WV getting ready for an evening workout! 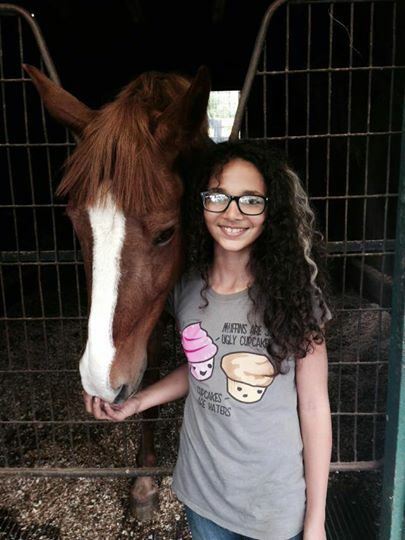 This poor girl needs our help. We are working to get her into our Ashland, Ky location fast. 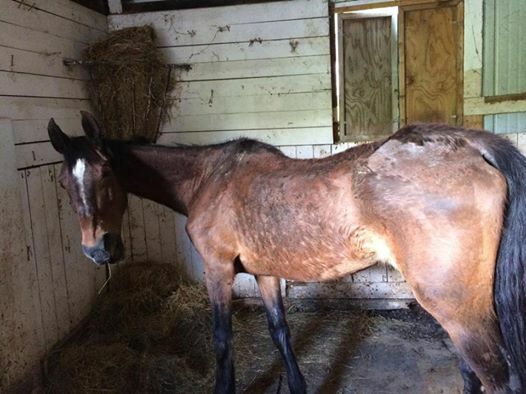 Please consider donating to help us get her healthy again. We just have a few body photos of her at this point. She is currently in Ohio. More photos to come. We know nothing about her – no breed, age or height information but when you see a photo like this – Not much is needed other than to ask “How do we get her here?” – thanks to volunteer, Angela, we have that covered. It’s the time of year when turtles are crossing the road — please keep an eye out for them, and help them cross if you are able! 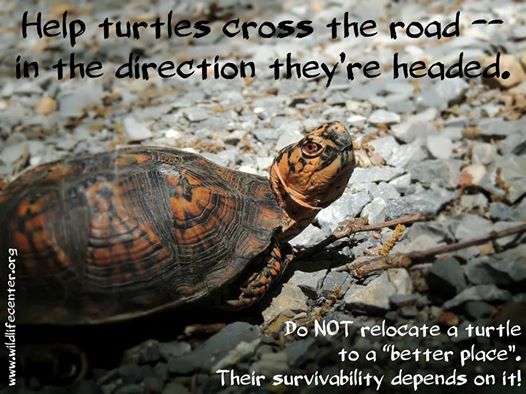 Remember, keep the turtle in the same area, and just help them cross in the direction in which they are headed. Share this information, and you can help save a turtle’s life! 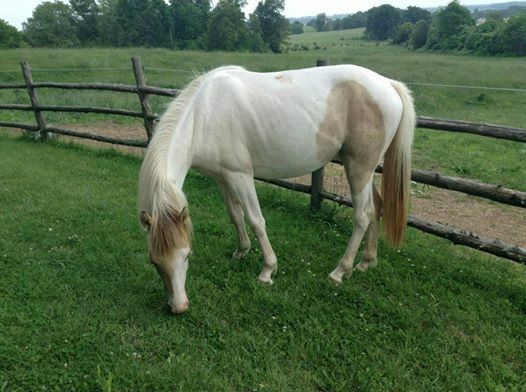 Anyone going to Blue Creek to show tomorrow that could give one of the rescue horses in Alum Creek a ride for fuel costs? It never ends. . .